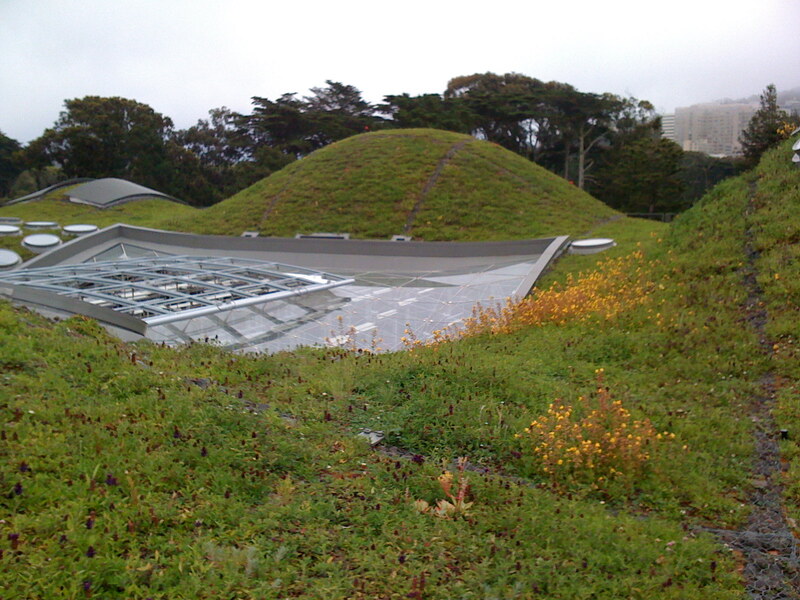 Here we have the “living roof” at the Academy of Sciences. Resident Expert asked how they handle seeds brought in by birds or the wind; they have volunteers who do the weeding, but they leave some of the native plants that take hold up here. In this photo you can see some patches of golden yellow flowers – that’s monkeyflower, which is pretty common in the hills around here. The person on the roof said that these had shown up on their own.